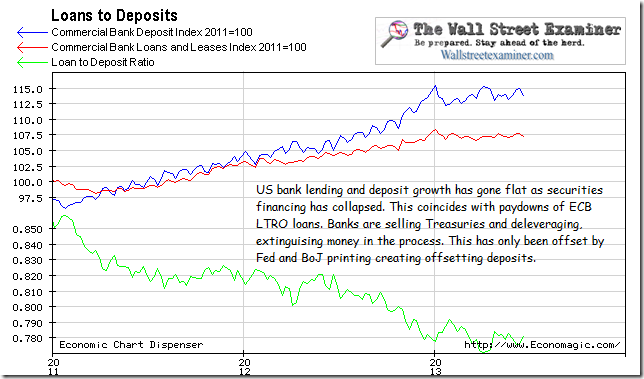 When the Fed prints reserves by buying MBS and Treasuries with money that did not exist previously, this increases bank deposits (liabilities) and cash assets pretty much dollar for dollar. I have run charts showing this relationship, but something went wrong beginning in January. That something was the breakdown in Treasuries holdings, as Eurozone banks began to unwind the LTRO trade at the first opportunity in January. The Fed is not the only actor in this game. 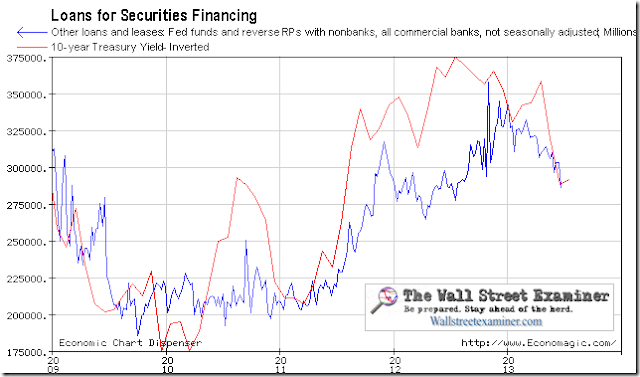 All the major central banks conduct operations with the Fed’s 21 Primary Dealers. US money supply data represents not just the US but is a pretty big slice of the whole world and reflects other central bank policies and the flows of capital between nations and banking systems. 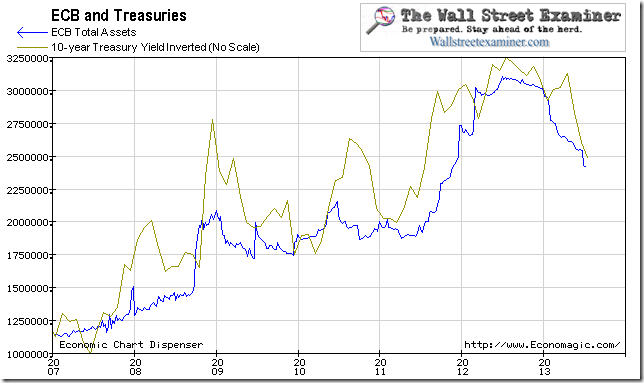 Treasuries were liquidated to pay down the LTRO. At the same time we saw the echo of that in US commercial bank repo lending and other securities lending to nonbanks, extinguishing the offsetting deposits. The forced March liquidation of leveraged holdings by big Chinese shadow institutions also showed up here. The BoE has also been running tighter policy. 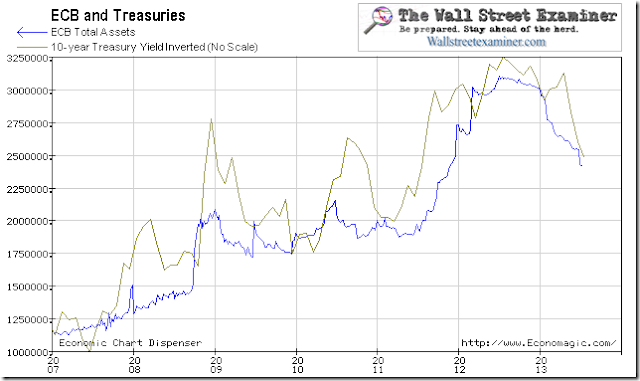 So the Fed and BoJ are fighting an uphill battle to keep money supply inflating. US money supply would still be increasing dollar for dollar with the Fed’s purchases, but their friends, the other central banks, are no longer cooperating.